Have you ever come out of a restaurant, store or even your home, and been unable to find your car? First you wonder if your memory has failed, then you get a feeling that something isn't right. Your car is gone! Stolen. Has this happened to you? Curious about the likelihood that it could? In the U.S. there are about three auto thefts for every 1,000 residents, which end up costing owners and their insurance companies an estimated $5.2 billion -- or about $6,500 per stolen vehicle. But of course, where you live and where you park -- even in the same city -- can make all the difference. For instance, in one Dallas neighborhood you have a one-in-four chance of having your vehicle stolen. 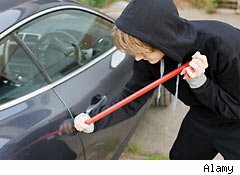 NeighborhoodScout also lists nine other neighborhoods in America where you have the greatest chance of being a victim of car theft. The city of Las Vegas has the unfortunate distinction of claiming three of the top neighborhoods for car theft on NeighborhoodScout's list. If your neighborhood is not on the list below, use this tool to see how safe it is to park near your home: Get the Car Theft Risk for Your Address.The company defines neighborhoods the same way the U.S. government does -- by census tract -- and if there isn't a generally recognized name available for an area, its neighborhood name is derived from the tract's largest street or intersection. 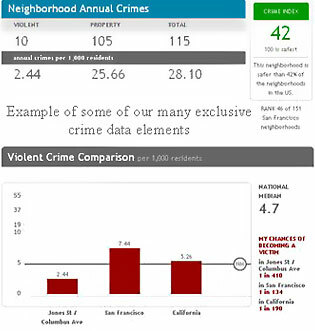 Location, Inc. offers the most detailed national database of neighborhood crime statistics available today. If neighborhood crime risk - including motor vehicle theft risk - is important to you, we provide the exclusive information you need for informed decisions. Hyper-local crime research and risk assessment in the United States is hindered by two important and pervasive issues: 1. Incomplete counts at the municipal level due to an agency-centric rather than a locality-centric method of reporting to the federal government; and 2. the lack of specific locations for crimes reported by most law enforcement agencies. 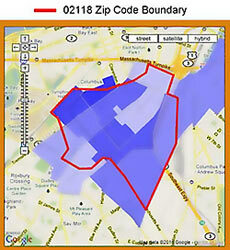 We address both of these issues in the way Location, Inc. develops its database. With this accurate foundation, Location, Inc. then uses more than twenty proprietary computer models developed by its expert analysts to statistically estimate the number of violent crimes, property crime, and motor vehicle thefts for every neighborhood in the U.S. -- creating a national database of accurate neighborhood crime statistics and crime risk accessible by home or business address. It is important to note that very recent changes in a neighborhood may not be reflected in our findings, as we use non-preliminary data in our risk models for accuracy and reliability, as stated, and these take a year to be released. Many communities define neighborhoods differently, from small areas of great similarity, to larger areas that fall under one colloquial name, but which have many different sub-neighborhoods within them, and ranging often with different lifestyle and living conditions. Many other communities do not electronically define neighborhood boundaries at all. To be consistent in our research approach across the nation, to include all municipalities regardless of whether they have defined neighborhood boundaries, and to treat all communities equally in the way neighborhoods are defined, we use the official government designation for neighborhoods - the census tract. These boundaries were sources from the U.S. Census Bureau. This report on automobile theft uses detailed motor vehicle theft risk data built from the FBI's Uniform Crime Reports. Based on the most recent non-preliminary national data available, and predicted to the individual neighborhood level by NeighborhoodScout's exclusive crime models, we list the neighborhoods, cities, and states in American with the highest likelihood of having your automobile stolen. The rankings are based on motor vehicle theft rates per 1,000 population. Only neighborhoods with 1,000 or more permanent residents were included in the analysis, for extra care. We also removed neighborhoods that were dominated by incarcerated populations. For a city to be included in the list, it had to have at least 25,000 population. Location, Inc. is a research and data mining company born of university research, specializing in location analysis, demographic and school data information products, and location-based decision-making tools for businesses and consumers. The Company licenses data for a host of business to business applications. Location, Inc. is the owner of NeighborhoodScout.com, a national neighborhood data source and search engine which has served 10.2 million home buyers and businesses since its 2002 inception. The Company is based in Massachusetts.